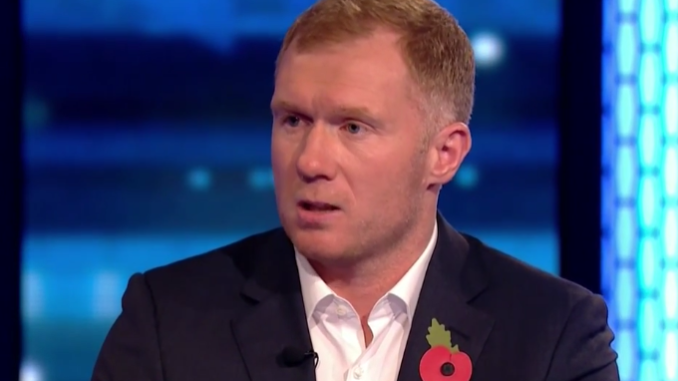 Paul Scholes working as a pundit for BT Sport. Manchester United is a club that has legends galore. Perhaps the most famous came from the Class of 92. Ryan Giggs is the club record appearance holder, while Gary Neville is one of the best pundits in the game. My personal favourite, Paul Scholes, has largely remained out of the limelight. Until now. The Ginger Wizard has taken his first steps into management, by accepting the Oldham Athletic job. His task? Build the Latics back up the divisions again. After recent relegation, they’re sitting in fourteenth place in the League Two table. They’re nine points off the play-off place, but hopefully for Scholesy, they can get a few wins under their belt and try to improve before next season. United fans will certainly be watching on with a keen eye, there is no doubt about that. I’d like to think his early stages in management will go better than that of Neville at Valencia, but obviously, this is on a far lower scale with much less pressure.